The fundamentals behind the various green building rating systems – LEED, Greenpoint, Passive House, and the Living Building Challenge – have been the focus of our practice for over two decades. We have provided LEED consulting services for architects and contractors along with our own projects. Beyond that, our firm has also helped draft guidelines, codes, and policies for the State of California and multiple Bay Area cities. It is in our nature to design a green building without needing to rely on guidelines or checklists, although we do recognize that seeking certification can provide a rallying point for the community and brings legitimacy and pride to the project. Sustainability includes many areas but most often is discussed in the context of site design and planning; energy use; water management; materials, resources, and waste; and indoor environmental quality. 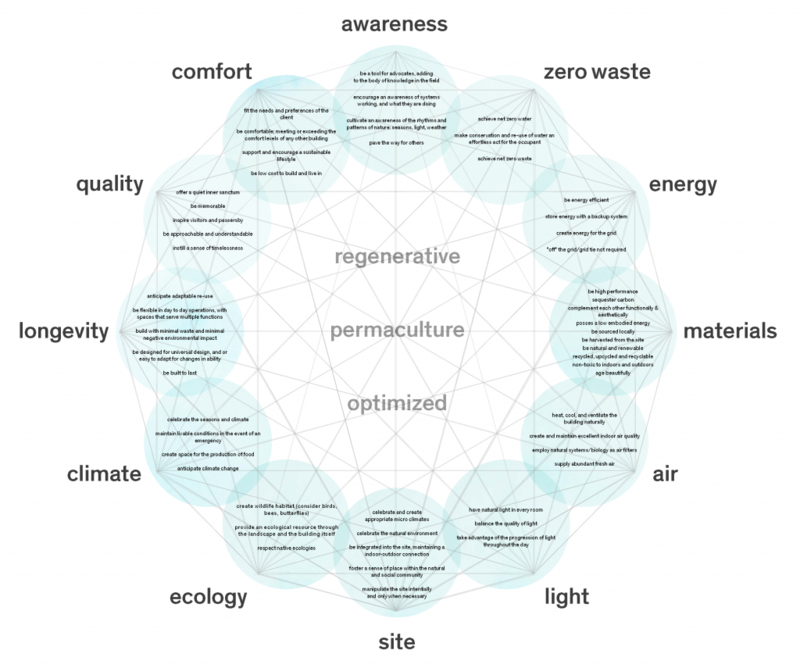 At 450 Architects we also consider the concepts of Permaculture and Regenerative Design as core components of our designs; thinking beyond the building and including holistic thinking about the landscape, wildlife, flora, fauna and people as part of the design ecology. Ultimately, we measure the “green-ness” of the project not by its certificates or awards, but by its performance and appropriateness to the site and people. We look forward to understanding what you value, and we will design green features that you can grow into. Firm Principals Richard Parker and David Bushnell are LEED Accredited Professionals. Richard Parker is also a Certified Permaculture Designer and Green Roof Professional.